LG KC550: Phone with camera or camera with phone? 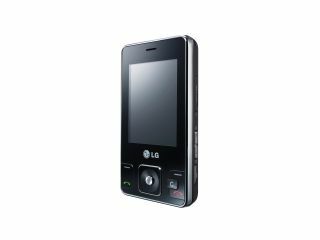 LG announced today a new addition to its cameraphone range, the LG-KC550. Taking some of the tech the Viewty uses, the KC550 is seen as a more affordable option for those looking for practicality over design. Speaking about the new launch, John Barton, UK Sales and Marketing Director, LG Mobile, said: “We pioneered the camera phone market last year with the launch of the 5-megapixel camera-phone, the LG Viewty. "The LG-KC550 extends our camera-phone portfolio, offering an affordable, feature-rich device that makes high-spec camera features available to everyone. To give clarity to images, the KC550 is equipped with a Schneider-Kreuznach certified lens, an advanced image stabiliser and a 2.4in LCD screen. For the videoheads out there, the KC550 can also enjoy DVD-quality movies encoded at 30fps 720x480 resolution – just like the Viewty. Oh, and it can also make phone calls. The phone is also equipped with a motion controlled gaming function, via an accelerometer. Called the M-Toy, you can play control various games by tilting and rotating the handset. The LG-KC550 is launching this month and is available through Carphone Warehouse, Phones 4 U and good ol’ Tesco.